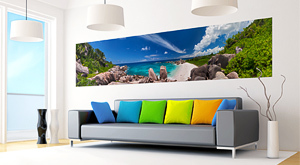 The quality of the photos and the print is one of the finest on the market. 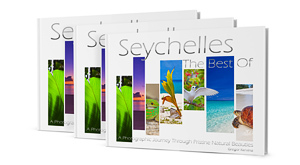 With your purchase, 10% of the profit from books and posters will be donated for nature conservation projects in Seychelles. In the spirit of protecting the environment and promoting sustainability, the book was printed on PEFC certified, fully recyclable, biodegradable, chlorine free paper. Find-It Maps and text under each photo will enable you to find and experience each place by yourself! 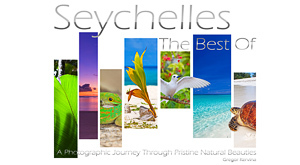 The photos were taken on 5 popular Inner Islands of Seycehelles: Bird Island, La Digue, Aride, Praslin and Mahe. In a photographic journey through some of the most exquisitely beautiful natural sites on our planet, the reader will discover breath-taking landscapes, fascinating wildlife and magnificent beaches. © Copyright 2012 Gregor Kervina. All Rights Reserved.